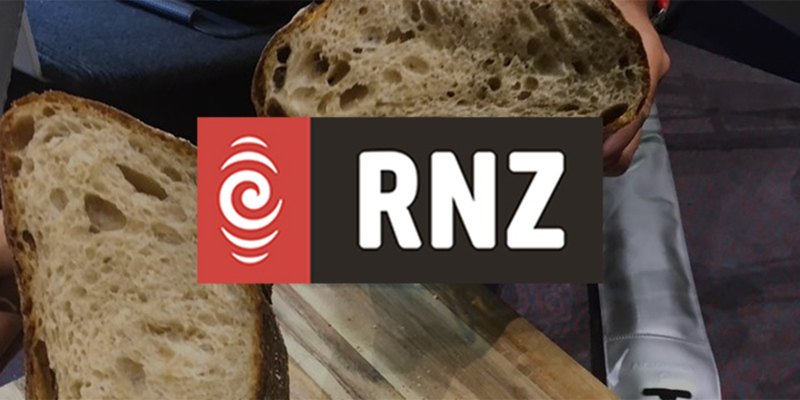 On Monday, March 19, Sourdough expert Sam Forbes was invited to the Radio New Zealand studios for their Expert Feature segment. The Shelly Bay Baker was featured on an RNZ segment on Fougasse back in November 2017, and there seemed to be enough interest from listeners for them to invite us back. During this Sourdough Expert Feature bit, Sam sits down with Simon Morton to discuss techniques used in the baking process and reveal all his secrets to email, text and phone questions from listeners. There are a few good tips in here about the art and science of Sourdough bread. One recurring message was that time & temperature throughout process are very important. And on a non-scientific note, the best way to make better bread is just to make more bread. Keep baking, take notes, and learn from your experience. Thanks to all those who tuned in and submitted questions. We hope that you learned something new about the Sourdough baking process, and are on your way to becoming a Sourdough expert.